Lawrence Namoki is from Walpi, Arizona, born into the Flute-Deer Clan in 1949. Hopi society is reflection of Hopi religion and his father, Maxwell, was a high priest of both, and a kachina maker, too. Namoki was not allowed to watch his father carve when he was a boy since carving was limited only to those initiated into the ceremonial kivas. When Namoki was a teenager he was initiated in his father's Kachina Society. 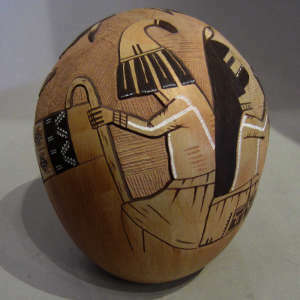 Then his father gave him a piece of cottonwood and taught him how to make the sacred figures. 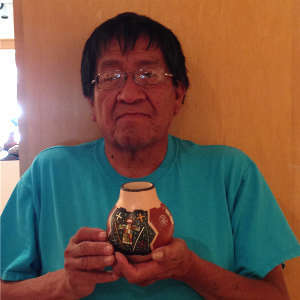 While Namoki still carves kachinas, a trip to the Santa Fe Indian Market inspired him to try his hand at pottery making. He began producing pottery in 1983. 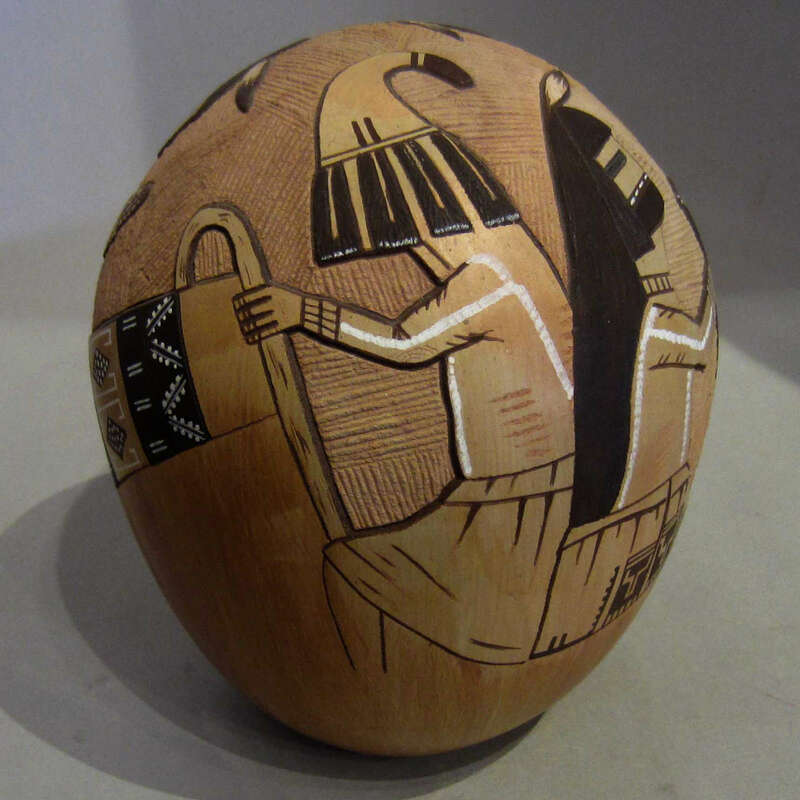 A self-taught potter, Lawrence has won many awards for ceramic creations so intricately carved, painted and slipped the pots look like they are made of wood. "I concentrate on one pot at a time, I let my hands do the carving but my mind is on the next project. I never sketch it out. When I’m developing designs, I hear the voices of my elders in my mind like a recording, telling me stories. These are stories that are over a thousand years old, passed from generations. How man was created. How the Hopis prophesied it. I spread my stories using my pottery. My pottery is my canvas," Namoki says.